Hunter is stuck in a car with his family as they travel up the Queensland coast. It is a trip that his mum thinks will bring the family closer together, especially now that his step-dad and little brother are part of the mix. But with tension and secrets sizzling beneath the happy family facade, the road trip soon becomes Hunter’s worst nightmare. The further away from home he gets the more he can’t shake thoughts of the accident that took his dad away from them. Can one trip really help bring a family together? 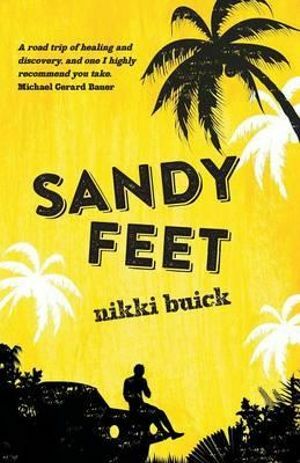 Sandy Feet is a raw and engaging coming-of-age story that perfectly portrays the highs and lows of adolescence as well as the consequences of family tragedy.